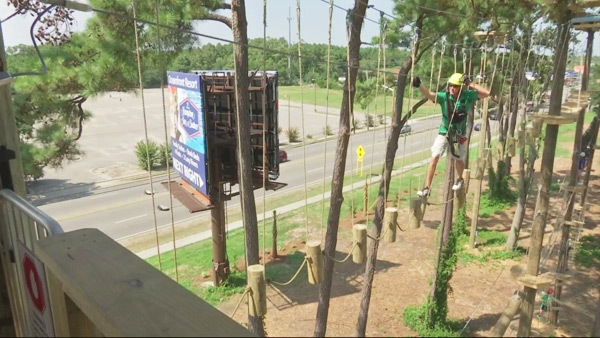 With something for all ages, Radical Ropes offers visitors a once-in-a-lifetime opportunity to take a walk through the trees and participate in exhilarating and rewarding outdoor activities. For the youngest little adventurers, Radical Ropes provides the KidZipz experience. Especially designed for children ages 4-8, this part of the park features zip lines and obstacles appropriate for all skill levels. Children must be accompanied by an adult, but the experience is perfect for the small adventurers who are not quite ready to be fully independent in the park. Participants must be at least 36 inches tall and weigh 100 lbs. in order to take part in KidZipz.